This week classic movie buff Mark is back with another cool movie. He switched to covering “Beyond the Time Barrier” from 1960 and this is a cool film. Here are some words from Mark about this movie. This is Mark Daniels from the Great Pacific Northwest. I’m back this week with another classic science fiction movie. I know you were expecting Logan’s Run, but I found a classic sci-fi B-movie on my DVD shelf. 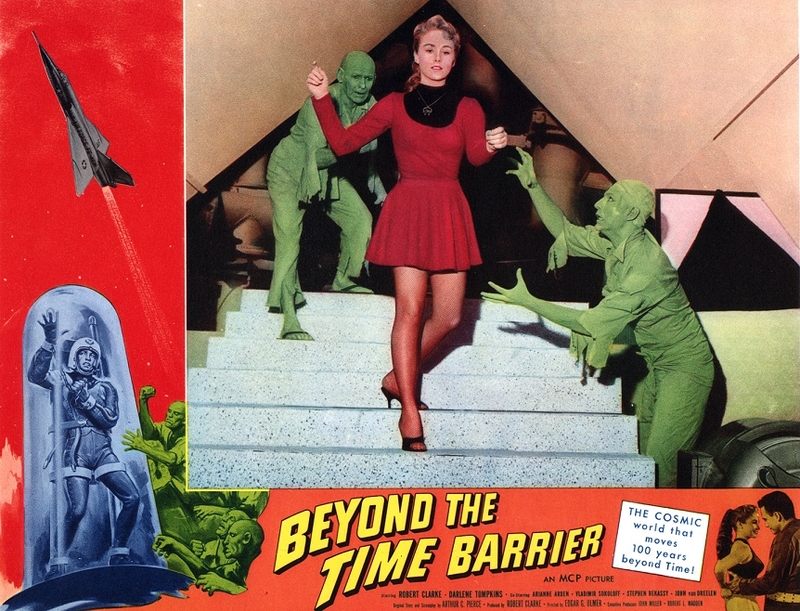 It’s Beyond the Time Barrier, starring Robert Clarke, Darlene Tompkins, Vlad Sokoloff and John Van Dreelen. It’s sci-fi schlock at it’s best! I hope you enjoy it! Thanks Mark! One fun thing about this film is it involves time travel to the year 2024 (only 5 years from now). Fun stuff! I’ll be here next week with with a look at the Trek Voyager episode, “Q2.” Until next time take and enjoy your week!